2. What does insulin do? 3. 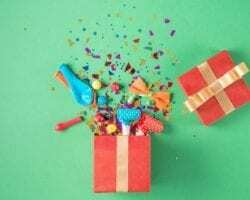 Why is insulin important? This is as distilled an approach as we can take. 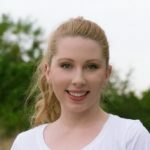 I don’t want to leave you with a non-scientific understanding, so we will discuss some complex terms in as simple a fashion as possible, so that by the end of this article you will hopefully understand that insulin is not the enemy, chronic hyperinsulinemia is a problem, and there’s something we can do about it! The anabolic hormone (those with a sports sciences or athletic background). The reason you may be overweight (those with a history of metabolic syndrome or obesity, and who have read publications espousing that theory). The truth is that, given the right conditions, insulin is absolutely both. But let’s stick to the proper definition, and ask, what is insulin? Insulin is a peptide hormone. 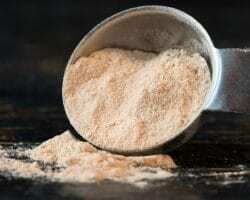 When you see the term “peptide,” it simply means that something is made of protein. This means that the hormone is manufactured from the products of the meat or plant-based proteins in your diet. Insulin is manufactured by the pancreas, a relatively small organ in the body that has both exocrine function (creates hormones and enzymes that are secreted into a duct that does not enter the common blood stream), and endocrine function (creates hormones and enzymes that are directly secreted into the common bloodstream). 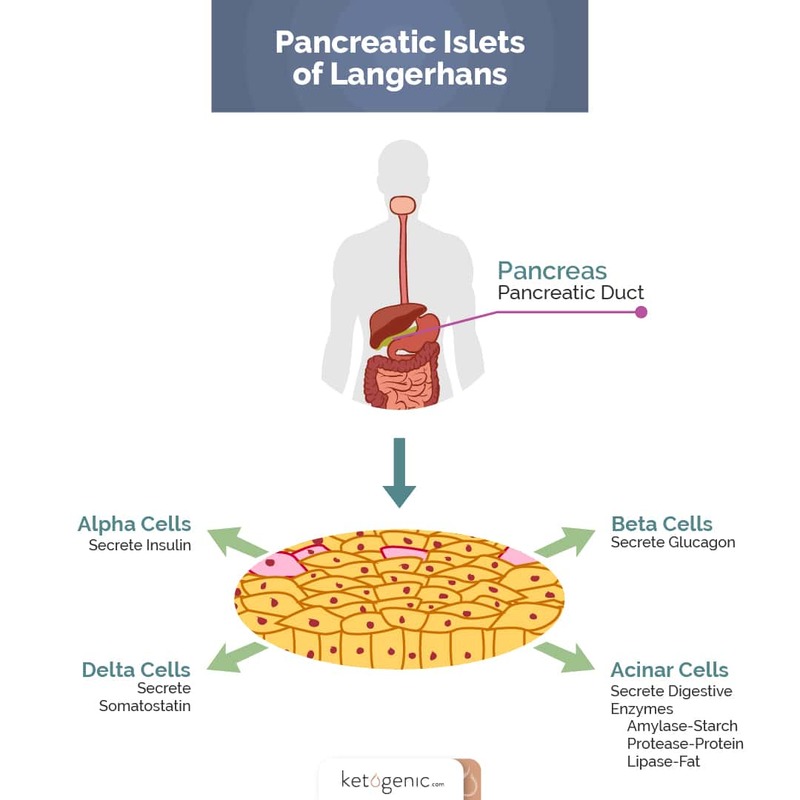 Secreting digestive enzymes (about 90% of the pancreas is responsible for this). 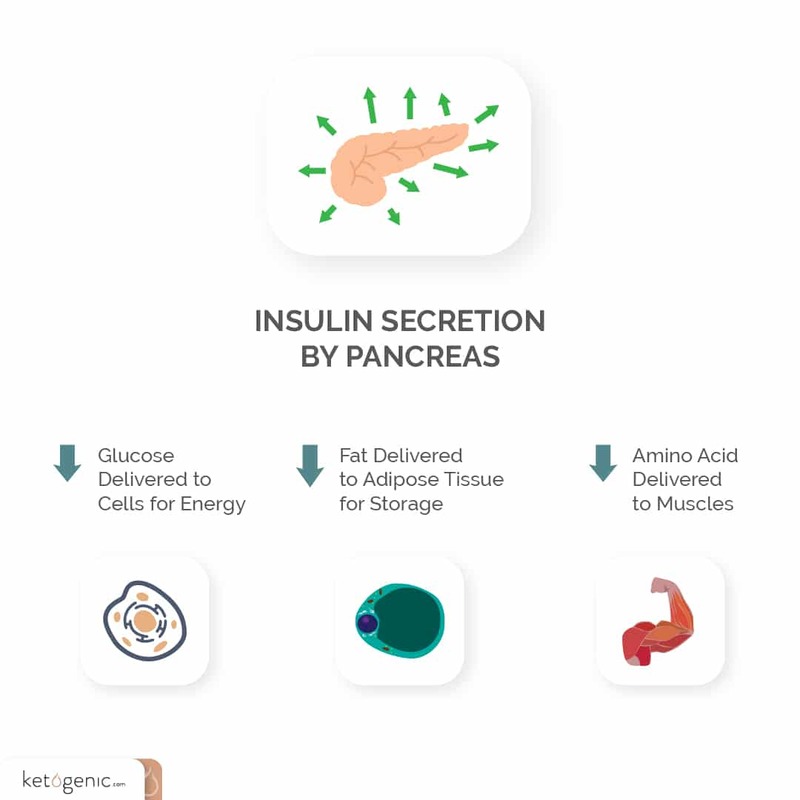 Secreting insulin via the beta cells. Secreting glucagon via the alpha cells. Now, what are alpha and beta cells? Functionally, beta cells are those that store and release insulin due to the presence of elevated levels of glucose in the blood. Alpha cells perform a similar function for glucagon. They are located in the same organ, perform counter-functions, and are triggered by the relative presence or absence of glucose in the blood. And, both are absolutely required for human survival! When blood glucose is well-regulated and at baseline, or reasonably low levels, the secretion of insulin is slowed or stopped. When glucose is increased (due to consumption of carbohydrates, for example), insulin secretion springs into action. Why is this important? Most fail to understand how little glucose is in the blood supply at any given time when they are “walking around.” I use that term to imply that they haven’t recently awakened nor recently fed. Insulin is a cute girl. Glucose is a goofy fan who wants to get into the show. The cell membrane is the bouncer. Glucose would like to get into the show, but the bouncer says no. Insulin takes pity, tells the bouncer, “He’s with me,” so that goofy glucose gets into the show, and then the cute girl walks away, having done her good deed for the day. The net effect of insulin secretion is to drive glucose into the cells and out of the circulating blood. 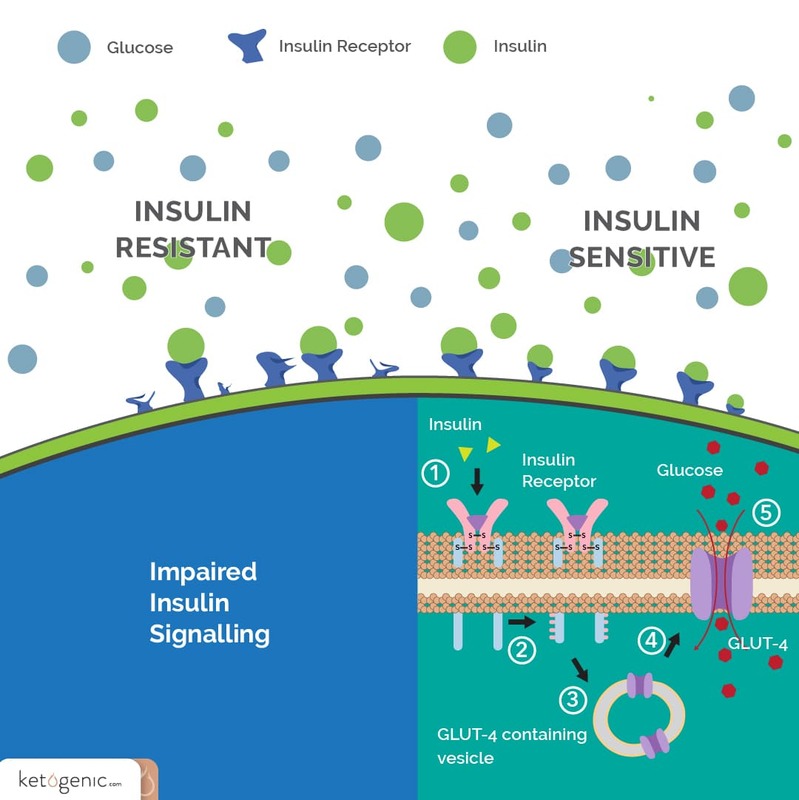 Without insulin’s ability to regulate glucose, life could not be sustained. If we need evidence of this, consider the fate of type I diabetics without supplemental insulin. 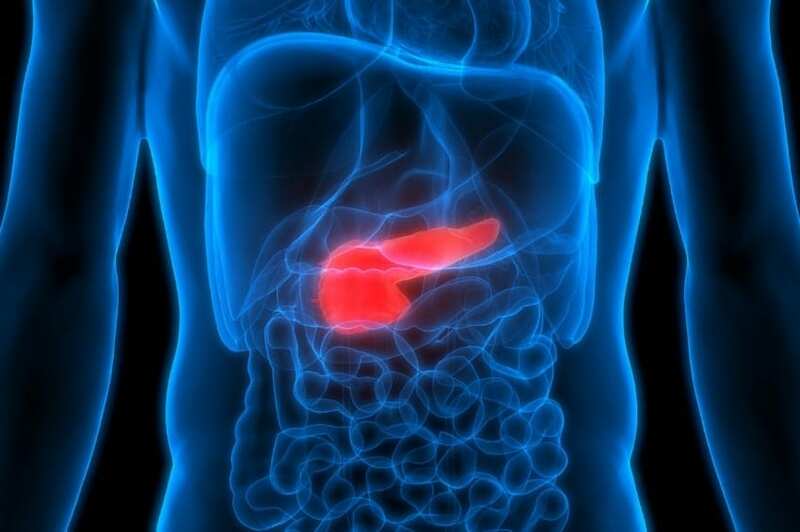 Type 1 diabetes becomes a wasting disorder, meaning the person functionally starves to death on a cellular level. 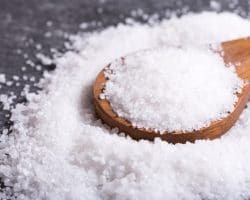 When we speak of insulin as being anabolic (as many bodybuilders and powerlifters often do), we understand from looking at glucose that insulin can be viewed as the master hormone that drives glucose into cells… but it also has an effect on fat and protein. The presence of insulin in reasonably high amounts seems to override any physiologically possible level of glucagon and retains stored body fat within the adipocytes, as well as drives dietary fat into storage. The presence of insulin aids in transferring amino acids from the blood and creatine into the muscle cells. This aids not only in recovery, but in the reduction of catabolizing muscle tissue in the absence of sufficient caloric intake. For the purpose of full disclosure, know that there are GLUT4 receptors in human muscle cells that respond to resistance training but not to insulin, and so, any thought that insulin is required for muscle synthesis or recovery is likely inaccurate. 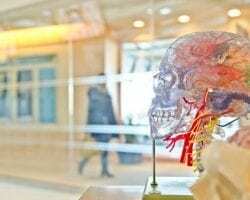 However, the possibility that insulin is potentially advantageous is still up for debate, and is an active area of ketogenic diet andperformance science research. 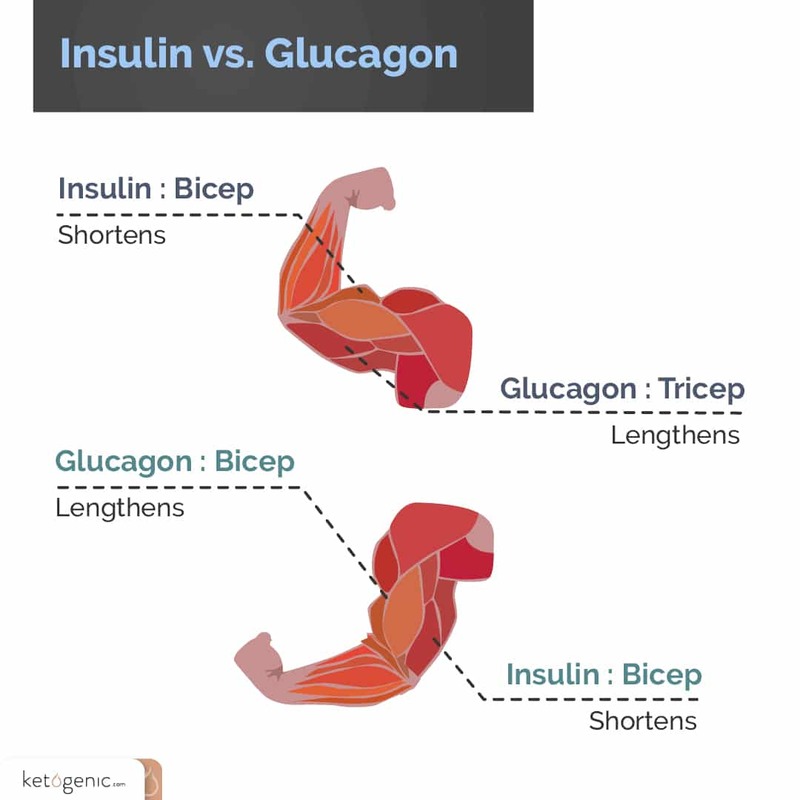 In this frame of reference, you begin to recognize how insulin and glucagon are both required, useful, and more in-depth than what I have presented here. As a last analogy to serve this article, I’ll say something that I used when I taught a high school class on how to think of insulin and glucagon. Insulin is not “bad” in the short term. It is the chronic elevation of insulin levels, commonly seen in our society today, coupled with the evidence that glucose levels in the blood can remain high because the cells are not responding to the signal of insulin as they should (i.e., insulin resistance), which are indicative of poor health. Insulin is not to be feared; rather, it is simply to be understood. 1. Young, C. M., Scanlan, S. S., Im, H. S., & Lutwak, L. (1971). Effect on body composition and other parameters in obese young men of carbohydrate level of reduction diet. The American journal of clinical nutrition, 24(3), 290-296. Is this good to share to someone who has Type 2 Diabetes? Hi, Angie! Most definitely! 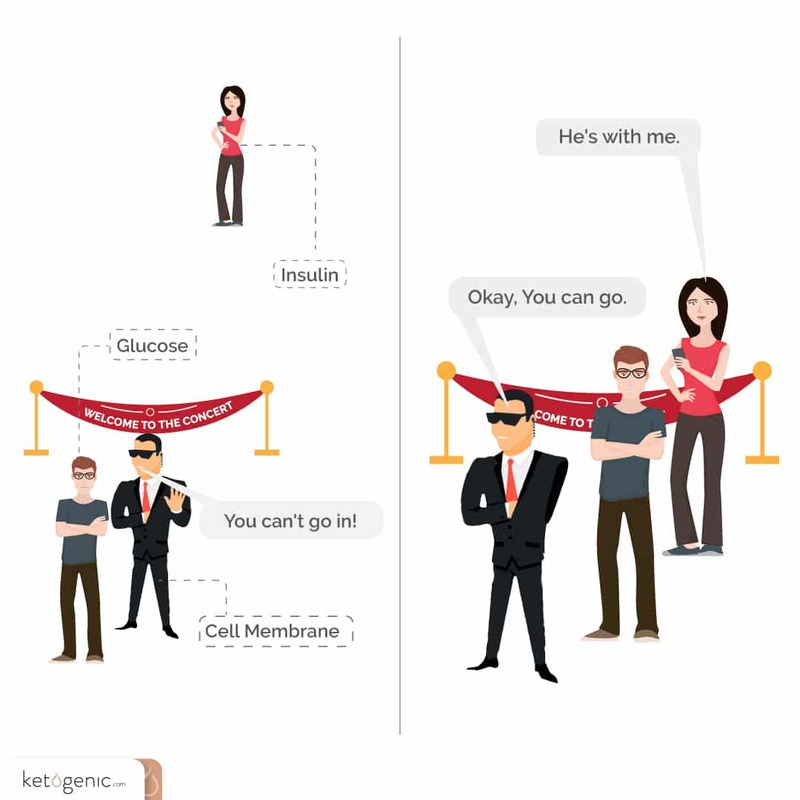 Share this article with anyone who wants to learn more about insulin and blood glucose!